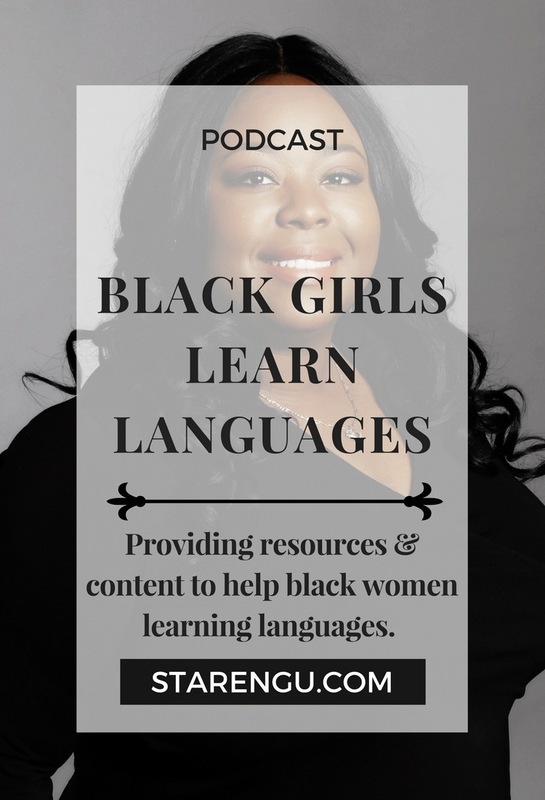 In today’s podcast, we have Shahidah Foster and her blog is called Black Girls Learn Languages. She is dedicated to providing content and resources to celebrate black linguistas. Shahidah is an incredible woman who speaks 4 different languages. She still has plans to add more! Learn more about Shahidah Foster, the various opportunities learning different languages has opened for her, and language learning tips that you can use. If you enjoyed this podcast, please be sure to listen and subscribe to Anchor, iTunes, Google Play and Pocket Casts. Don’t let tech or having a 9 to 5 stop you from creating your blog. 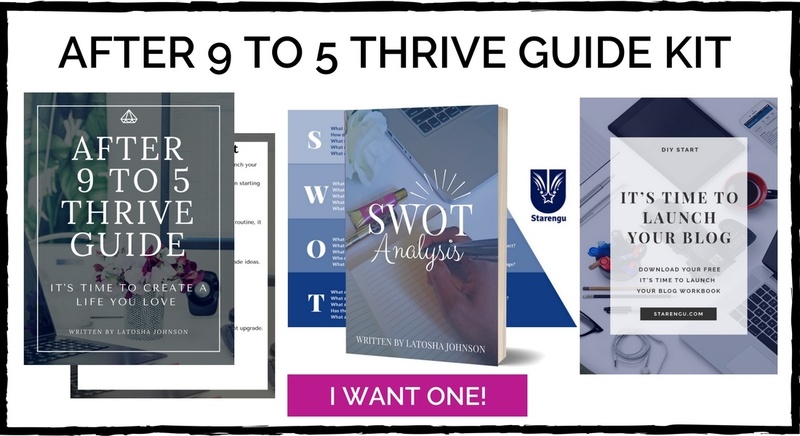 Download the FREE after 9 to 5 Thrive Guide Kit. In today’s podcast, we discussed a variety of ways in how to create and produce audio. Record your podcast using the Anchor app or using Anchor from your desktop. f you are happy with the recording, then consider yourself done. Hit that publish button! However, if you wish to edit your video, save it as a draft and download your audio so you can use use the recording software of your choice edit. If you’re on a budget, check out Screencast-O-Matic. Use Screencast-O-Matic to clean up the audio. Upload to your Anchor podcast station. If you want to learn how to use Screencast-O-Matic or Camtasia in more detail then check out my course creation class. This class will teach you how to record, edit and produce videos, host webinars, etc. You can use Canva (it’s free) to create your YouTube Channel art. If you’re interested in learning more about Canva or Photoshop you may be interested in my design course. Record your podcasts using a good mic like the Blue Yeti (I have this one) or ATR-2100 by Audio Technica. You should also get a popfilter. Edit and produce your video using Camtasia. You can create a YouTube video using the audio from your podcast, just like I did. If you’re looking for a way to keep track of your content, then consider creating a content calendar. 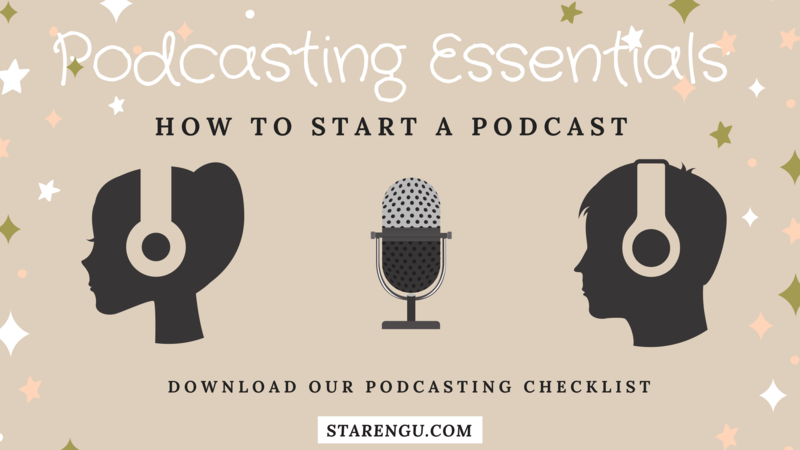 CHECK OUT OUR PODCASTING COURSE! This is part 2 in the How to Generate Leads with Interact quizzes series. Click here to see the first post in this series. If you’re looking for a quick, cost effective lead magnet, then I highly suggest you incorporate quizzes into your marketing campaign. It’s a free, subtle fun way to increase your mailing list. People love taking fun quizzes to see how accurate the quiz is and share there results with their friends. Discover how Interact’s premium version quizzes will help you easily convert your leads to customers. Check out the below video and sign up for your free account right here. In today’s podcast, we have Nicole Butler from Budget Like A Lady. Her blog is dedicated to helping women balance their life and money. Nicole has a degree in structural engineering and an MBA in finance. She decided to start her blog because she was getting a lot of financial questions from friends and family. Through her experiences and research, she discovered that there was a lack of financial literacy and it was her desire to educate the community. 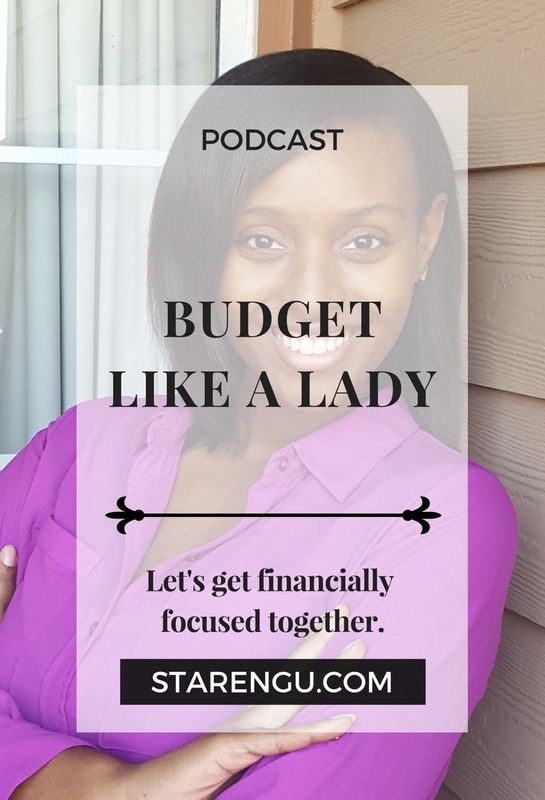 Through her blog, Budget Like A Lady, Nicole desires to demystify and provide resources to help others in their quest to improve their finances. Learn more about Nicole, her blog and get the motivation that you need to get out of debt. Welcome to Starengu (pronounced starring you), I’m your host Tosha Johnson. Thank you guys so much for tuning into our podcast. I want to take a moment to let you know why I started this podcast in the first place. 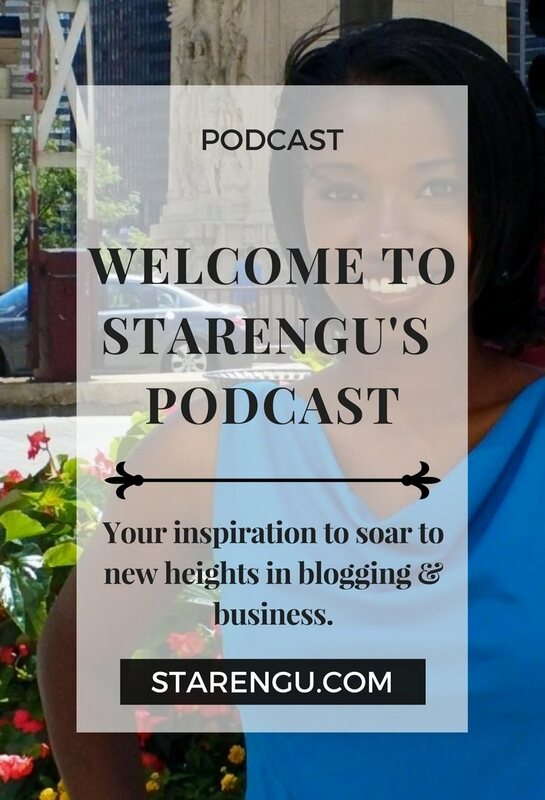 So in case, you’re wondering what in the world is Starengu is Starengu is a blog that I started. The reason I started this blog is that I wanted to finally take a moment to invest in myself. I’ve been in the marketing arena for 14 years. I’ve always it supported large companies marketing endeavors. I’ve always been involved in marketing from a corporate standpoint. I am very passionate about digital marketing, technology and productivity so I decided to start a blog that allowed me to really hone in on my skills and to share my knowledge and expertise to help other people. I’m a really creative person by nature and that’s one of the reasons why I decided to start my blog. I really wanted to continue to invest in myself. Here’s the thing guys, a lot of these companies out there will lay you off without any notice which is what happened to me. It’s okay because while I was working my nine-to-five I decided to start Starengu. Again, I decided to invest in myself. I started my own blog that allowed me the ability to take on different projects, about different topics and subjects that I didn’t necessarily get a chance to do in my nine-to-five. I want you guys to think about the same thing. Regardless of what your profession is, you don’t have to like be constrained into that particular profession. Your degree does not define your potential. If you’re interested in website design but your background is an English teacher there’s nothing wrong with that! Start a blog that allows you the ability to see how much you’ve progressed in your desire to learn more about website design. Again, guys, I want to let you know one of the main reasons why I started this blog is because I wanted to help other people create their own outlet. Some people allow technology to scare them, some people are afraid of you the design piece. Just an FYI, I’m not here trying to sell you anything but I do have a free blogging course available and I also have different courses that will help you get up to speed in your desire to create your own blog. If you get a chance, check that out but again my desire is to make sure everyone has that opportunity or feels inspired after listening to this podcast to start their own blog. There are so many different bloggers that I follow and so many of them have interesting stories. Unfortunately, I’ve just never actually seen these bloggers get the attention that they deserve. I’m not quite sure why that’s the case, but it doesn’t matter. They’re getting that chance on this podcast. Again, my desire is to highlight the journey of these bloggers in order to inspire more people to start, so I’m going to have a mix of bloggers. There’s going to be quite a few folks that you may or may not know and that’s great. I’m not saying that you have to start your blog as a plan B for additional income. I’m telling you to view your blog as an opportunity to invest in yourself. If there’s something that you’ve always wanted to do and you’re not able to do so on your 9 to 5, then take the time after work, take your lunchtime, take the evenings or your weekends and really examine how you can make your life more fulfilling. What other passions do you have yet to tap into? This is why you should start your blog start your blog. View it from the standpoint of your desire to see your progress from point A to point B. If nothing else, start it for that very reason. I guarantee you it’s going to morph into something a lot bigger than what you may have anticipated. To make a long story short, I actually started this blog while I was working my nine-to-five. I did it. To be quite honest with you, I enjoyed my job but I really wanted to have a little bit more of a challenge. I wanted to be able to really share my expertise with other people and I’m not gonna lie, making a little additional income was not too shabby either. However, if making money is your main idea in why you want to start a blog, then you know you might as well stop now. I hate to break it to you the ones that are like bringing over six figures are very rare. In my opinion, for that to really be the case for bloggers, especially if you’re working a nine-to-five or if you’re not as invested into learning more about monetizing your blog, then I hate to break this to you…this might not be the case for you guys. I personally believe regardless of the fact of whether you’re able to monetize your blog, that should not be the sole purpose of blogging. The sole purpose is so you can really allow yourself an opportunity to have a creative outlet and to help other people. if that sounds corny so be it. That’s the main reason why I decided to start blogging. I would always get asked questions by people. If you find yourself repeating the same thing, you definitely need to start your own blog. If you find yourself wondering, “Man, I wonder if this could help out other people.” I guarantee you it could. “ You may not think this, but you possess a wealth of knowledge. I’m not saying you have to give away everything for free but have a balance. You’ll never know what that balance is if you don’t start. I really want this podcast to encourage you to start your own blog. Again, please do not allow the tech or anything like that to get in the way of your desire to start your own blog. I have a free blogging course that you can find on my blog and additional courses that can help you out as well. You just have to get started. Nike said it best. Just do it. You are not going to regret the journey that blogging will allow you to go on. I have met some amazing people that I have yet to meet in real life, but we’ve met through social media and I’ve even gotten to know some a little bit better by interviewing them for this podcast. I really hope that today’s podcast has inspired you to start your own blog. I want you to get you ready for the podcasts that are coming down the pipeline because these are very, very interesting folks I feel so many more people need to be introduced to as well. I’m confident that they are going to inspire you. Huge thanks to those of you listening to today’s podcasts. Remember, if you’re everything to everyone then you risk being no one. Creating your blog is the first step to investing in yourself. It allows you the opportunity to connect with other people. You never know who you may inspire. See you in the next podcast! 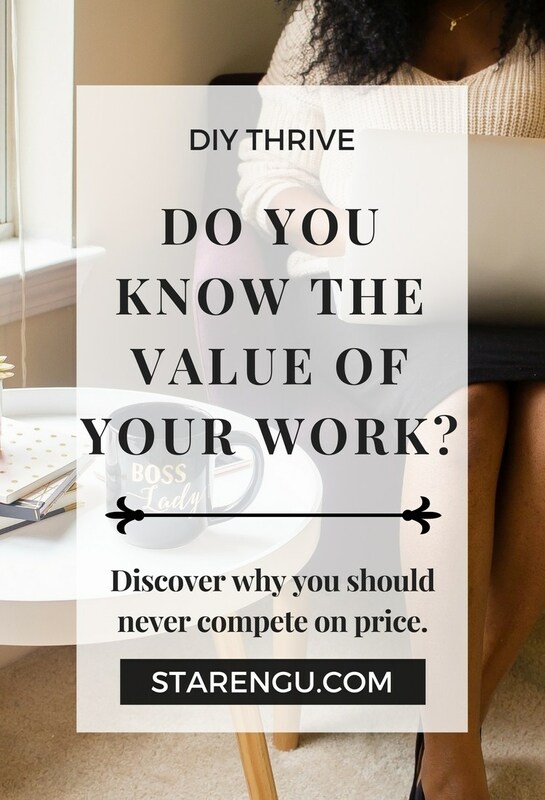 Do you know the value of your work? I would like you to develop 65 customized social media status updates. We were hoping we could have some videos included as a part of the status updates. You would need to create the videos as well. We would like to have all of this completed within two weeks. Can you do this on a $200 budget? Why? I’m tired of people expecting me to price my services according to Fiverr’s rates. I do a great job and my rates are affordable. I feel like there seems to be a trend in people expecting those in the creative field to work either work for pennies or for free. Neither option is my jam. As far as I’m concerned, if you’re in business you have two options. If you don’t have the money then be willing to invest the time. If you don’t have the time then be willing to invest the money. If you chose to contact me, then it’s safe to imply that you were seeking a shortcut. I have been working in the corporate world in the marketing arena for 14 years. I’ve been told on numerous occasions that I’m a “well-rounded” marketer. I’ve worked on small and large accounts in “traditional” and digital marketing, category management, consumer insights, marketing analysis, content creation, and project management. I KNOW the importance of marketing. Without marketing, companies would remain unknown. Regardless of this fact, there seems to be a dismissive attitude toward those who work in the creative positions. I’m not making this up either. I’ve actually heard folks from the accounting department refer to marketing as “overhead.” This attitude seems to have permeated into the freelance sector as well. I’m guessing this is the reason why I have seen an increase in requests like the one mentioned in this post. I’m big on education, so whenever I get these type of requests, I make sure to explain to the requestor that why I decline taking on projects for that price (especially with that tight of a deadline). Due to the fact that I’m big on creating systems and processes, it only takes me a minute to respond because I have templates for everything. What do you want to be known for within your industry? If you want people to take you seriously then you need to do your homework. Oftentimes, those new to freelancing do not realize that if the client has done their homework and your prices are too low, the majority of them will continue their search for another company. Why? Many people still associate extremely cheap prices with low-quality products and services. You want clients who are focused on quality. When your prices are too low, they are going to question your expertise. This could have easily been avoided if you had conducted market research. 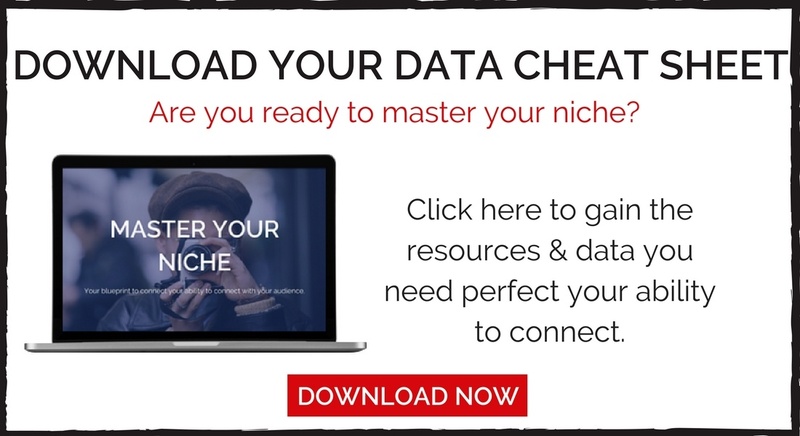 You will be able to learn what the average price is within your industry, expenses, etc. Don’t allow yourself to be your own worst enemy by failing to appropriately price your services. If you plan on running a successful business, you must have repeat customers. The folks who have the something for nothing mentality aren’t interested in developing this type of relationship. The minute you raise your prices they are going to leave. Even worse, if they decide to stay, these folks will go out of their way to find something wrong with the deliverable (i.e. product/service) so they can feel “justified” in asking for a discount which will bring them back to the price that they are accustomed to paying for or even less. Save yourself an unnecessary headache. 3.) You’re not going to be able to scale at those prices. Your goal is to make money. The higher you sell your products/service will enable you to reduce the time you spend on acquiring new clients. You can’t do this if you’re willing to work for peanuts. If you’re pricing your products/services too low, you have to make sure you constantly have a high volume of clients in order to make a living. You’re setting yourself up to be in a situation where you will be delivering a poor quality product due to the fact that you are overworked and underpaid. If you have a talent you should not be afraid to charge what you are worth. You should be paid for the shortcut you provide. Just because someone says, “Your prices are too high,” doesn’t mean that it’s true. It just means that they can’t afford it and they don’t see the value in your work. Regardless of what the reason may be, they aren’t the right client for you. Don’t fight for their business. Sooner or later they will end up at Fiverr. Let them continue their journey for the cheapest price. The quicker you do this will enable you to have the bandwidth to grow a clientele that will support your endeavor to make a decent living without losing your sanity in the process. Did you enjoy this post? If so, can you do me a favor and share it with others? I would really appreciate it! I’ve got a love hate relationship with blogging. I love the ability to share what I know with others but the process of getting there…not so much. Regardless of how passionate you may be about a topic, writing a blog post can sometimes be stressful. Sometimes, I get tired just thinking about the work involved in writing a blog. Brainstorming evergreen content ideas, conducting keyword research, searching for images, etc. can all be a bit overwhelming. Place yourself in your readers shoes audit your blog posts. Pull out key phrases, statistics, etc. that you can use as social media status updates that your audience would find of interest. Craft each piece of content to that particular medium. Then create an image that will accompany that post. Share these updates across the social media platforms that your audience frequents the most. Once you start blogging you’re going to generate enough content that will allow you to create an ebook. Once you create your ebook you can either sell it or you can give it away for free as a lead magnet. Medium is an extremely popular website that can expose your content to an audience that you otherwise might not have reached. In case you’re concerned about Medium cannibalizing your traffic, you can stop worrying. Medium has already provided a way to ensure that your site will be viewed as the original source. Be sure to create a newsletter form using Upscribe so you can build up an email list. Another great platform that you should consider using is LinkedIn Publisher. LinkedIn is typically viewed as the more “formal” of the social media networks. The majority of the articles are typically business related. It is an especially useful tool if you’re in between jobs. It’s a great way to catch a recruiter’s eye or your client’s attention, so you can stand out from the competition. Did you know that over 500 million hours of video are consumed on YouTube? They are an engaging way to repurpose your content. Research indicates 74% of people who watched an explainer video purchased the product. It’s a lot easier to foster trust and explain a difficult concept by video rather than print screens. If you would like to learn how to record and edit video, then check out our Cheers to Your Courcess course. When you conduct livestream video it allows you the ability to connect with your audience in real time. They can answer all of the questions that otherwise would have prevented them from purchasing your products or services. I LOVE podcasts! It’s one of the few mediums that can truly be considered passive. You can listen to them while you’re sitting in traffic (you’re trapped anyway! ), exercising (my personal favorite), etc. 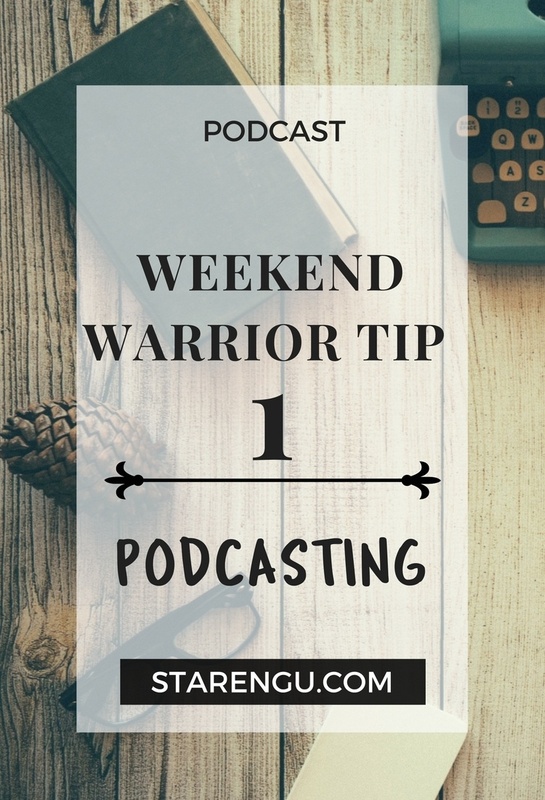 Creating a podcast and cross promoting it on your blog, YouTube, Twitter, etc. is easier than ever using Anchor. I’ve been testing Anchor out and have found it to be incredibly user-friendly. I plan on launching another blog soon and I will definitely be using this app for my podcasts. Since my experience has gone well with the aforementioned podcast, my goal this year is to create one for Starengu. I want to start a podcast that highlights the journey of bloggers and entrepreneurs in order to inspire more people to start a blog as a creative outlet. Yes, you can make money blogging, but that shouldn’t be the main reason you choose to blog. I If you’re interested in becoming a guest, please complete this form. Don’t be shy. Share your story with us! I don’t care how design challenged you may be, everyone possesses the ability to create a slide deck presentation. Take the best parts of your blog post and create an intriguing story with visual images. If you do it right, your story is going to compel your audience to learn more about you. If you want to work on your design skills, feel free to check out our Brazen Brand & Design, so you can take your design skills to the next level. If your content has a lot of statistics, steps, lessons, etc. then take this as an opportunity to reinforce your point with images. Similar to Slideshare you are relying on the images to help you tell the story. However, if you were to print an infographic it would only take up one page (depending on the niche, it probably won’t fill the whole page). By the way, infographics make great pins on Pinterest. They tend to stand out more in the feed. I am a HUGE advocate of creating email or traditional courses. Depending on your goal, topic, etc. can help you determine which route you want to take. Regardless of which choice you use, both enable you the opportunity to further help your audience know, like and trust you. Just like the name indicates, based on the research you conducted (i.e. surveys, focus groups, online research, etc.) you will know what challenges your audience is facing. You can create a mini course specifically designed to answer of those challenges that you can quickly solve. You want to go for the quick win, anything longer needs to be a regular course. For example, if you’re a digital marketer you could easily create an email challenge centered on ways to 3 ways to decrease blogging fatigue. Each day for 3 days you can provide quick tips that have a call to action which you would request your subscriber to perform. You can even make the challenge even more interactive by creating a private Facebook Group. Gather some folks who are considered experts within your industry and interview them. Interviews will take some of the pressure off of you when it comes to creating content. Your conversation with the expert(s), would be a great opportunity to create an audio version of that interview. Conduct an audit of your blog. I’m sure there are blog posts that would be as good as new if you give it a little TLC. Completely revamp the blog post or add additional new information to the old post, include additional opportunities to interlink your content to newer content and the repost your blog post. Expand upon the blog post you wrote and create a webinar. This way people will get a chance to hear more about that topic and connect with other folks who enjoyed the content that you shared as well. Checkout your content calendar and do a complete audit of your blog. Using Google Analytics, check to see which blog posts were the most popular. Create a blog post literally called, “(Insert your blog name) Top 10 blog posts of (i.e. insert year, category, etc.). I’m embarrassed to say this, but I have an Amazon Merch and Spreadshirt store that I’m not using to its fullest potential. I have A LOT of ideas, but I don’t have the time to execute designing many of them. I really want to take advantage of my accounts and scale up because print on demand *can* be a lucrative side hustle if you do it right. 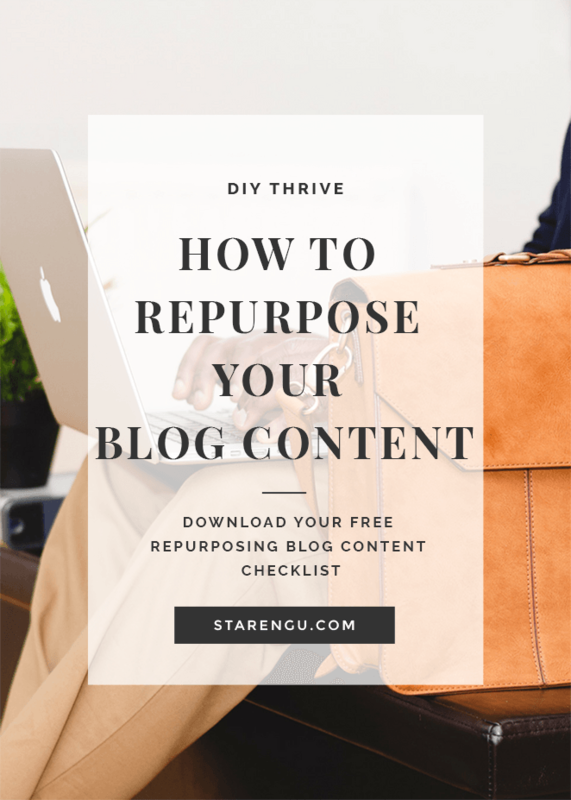 The best way to build your email list is to offer content upgrades (ahem like Starengu’s Repurposing Content Checklist …) that will reinforce your ability to assist them with the challenges they face. The more folks consume of your free content will ease their conscience when it comes to deciding whether to purchase your products. Create a page on your website that enables your audience to see what type of content you have to offer. I personally place ALL of the content upgrades that I offer on my website as one BIG zip file that people will receive once they sign up for access to my content upgrades. The email with the password never arrived. When people experience the aforementioned issues, the odds of them contacting you are slim to none. When you audit your blog posts with your content calendar, identify evergreen blog posts and incorporate them into your email campaigns. If you forget to schedule your content, then you can use services like Missinglettr, Revive Old Post and Recurpost to do it for you. After you set them up, let them work their magic. You can incorporate your content into your profile. You also have the ability to search for questions where your blog post can serve as the perfect answer. You should create a Pinterest Pin for every blog post that you create (I typically create 3 to 5). Then you need to make sure that you place them on a blog that highlights your blog. Make sure that the “Best of” boards that you create are towards the front. Time to craft your repost game plan! 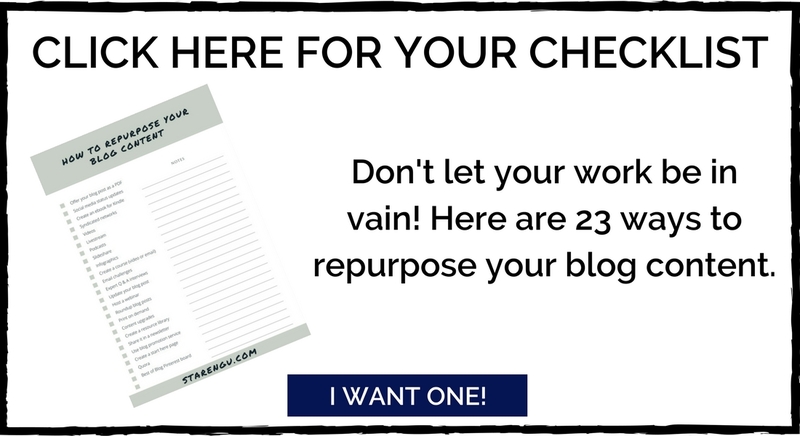 Before I create my blog posts, I literally work my way through this list to see which approaches will work best for that particular blog post. My content calendar helps me to quickly identify the blog posts that need another chance to “shine” again. I work way too hard to allow my blog posts to disappear into a black hole and I’m sure you do as well. Using the above mentioned ideas will keep your blog posts forever young. Did you enjoy this post? If so, please share it with others. It would be greatly appreciated!